(NaturalNews) Ever wondered why citric acid is listed in almost every food or drink ingredient label? This little product is found in everything from iced tea to hummus and organic salsa. Let's take a look at what citric acid is and what it's used for so universally in the food industries. When I first scanned an ingredient label and saw citric acid, I pictured lemon or lime juice extract or something benign and citrus. But actually, modern-day citric acid is made by fermenting glucose. 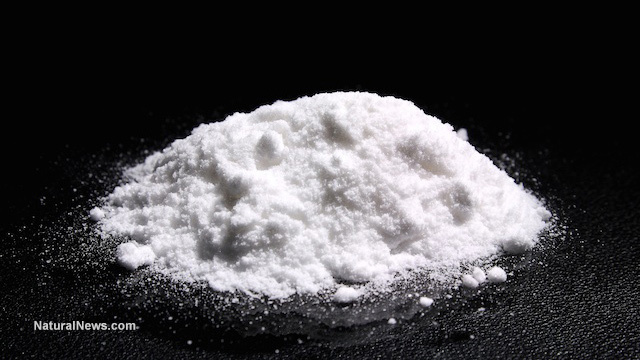 Citric acid appears as a white, powdery substance which tastes similar to lemon juice. It is made by fermenting Aspergillus niger mold, which produces citric acid as a byproduct of metabolism. This peculiar and cheap method of acquiring inexpensive citric acid (as opposed to squeezing actual lemons and limes which is too expensive) was discovered in 1917 by American food chemist James Currie. Why is it used in so many foods? Citric acid is used as both a flavor enhancer and a preservative ingredient. It provides a tart, citrus taste to foods to give a more potent flavor, while at the same time balancing the pH of foods and increasing acidity levels to preserve it for longer. In short, it increases the acidity of a microbe's environment, making it harder for mold or bacteria to survive and reproduce. So it makes sense that citric acid is found in so many modern products when you consider the positive attributes it provides. But these positives don't come without a price, as you'll see below. The problem with citric acid is that it can potentially be produced with GMOs. Citric acid is made with the use of sugar beets or corn, which, if you follow the GMO issue, you know that these two are some of the biggest offenders of GMO foods in the US. There are also some GM versions of A. niger which are used to produce citric acid. There are also other health implications that can arise from consuming citric acid separate from the GMO issue. Citric acid has been known to irritate the digestive system (ascorbic acid has similar attributes), causing heartburn and damage to the mucous membrane of the stomach. The eyes, skin and respiratory organs can also suffer scratchy, itchy sensations from overconsumption of citric acid. There have also been European studies which suggest that citric acid could be responsible for promoting tooth decay as well. And so far you will not find cautionary statements of any kind on any products warning you about citric acid. If you choose to try and avoid citric acid, good luck; you'll find it in almost every food product imaginable, organic or not. Zach C. Miller was raised from an early age to believe in the power and value of healthy-conscious living. He later found in himself a talent for writing, and it only made sense to put two & two together! He has written and published articles about health & wellness and other topics on ehow.com and here on NaturalNews. He holds a Bachelor's degree in Applied Science.